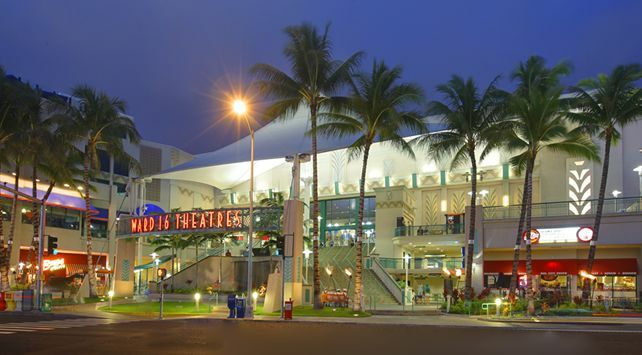 Consolidated Theatres Ward with TITAN LUXE is located in Honolulu's expansive Ward Entertainment Center, a popular destination for anyone in search of a unique entertainment experience. With exciting shops and a diverse mix of restaurants, the convenient location offers easy access to both Waikiki as well as the island's bustling downtown business district. Enjoy the movies in style with premium luxury recliner seating at Ward Theatres. Plush leather seats that recline for the most comfortable movie experience in Honolulu. A new cinema experience at Ward Theatres! Guests 21 and over can enjoy craft beer & wine from the concession stand at Ward Theatres. Beer & Wine can be enjoyed in any movie show time! Valid photo ID is required for guests interested in this new amenity. Featuring Honolulu’s biggest movie screen, luxury recliner seating and 4K digital projection and the state-of-the-art Dolby Atmos sound system, TITAN LUXE is the most immersive cinematic experience in Hawaii. Dolby Atmos delivers the latest sound technology to moviegoers in TITAN LUXE. Additional ceiling speakers, powerful bass, and best-quality subwoofers propel you into the story with moving audio that flows all around you with breathtaking realism.